Small (6-12 Mos) - $73.99 Large (18 Mos-2T) - $73.99 Only 8 left! Okay, so people in warmer climates might not understand your struggle. But we do, we’re from Minnesota for criminy’s sake! We know that October can be cold. This makes finding the right costume for your baby hard. You want them to be cute, but as a parent you NEED them to be warm, and happy. That’s why we looked all over the world for a costume that was adorable, yet still met your parental needs for your child to be warm in the bitter cold of October. We searched in small shops all over the northern Midwest, and the east coast, the west coast. But we didn’t find anything. Sure there were cute things, but not warm. Or there were warm things that weren’t cute. Then we heard tell of baby Yetis in Nepal. We just knew that we had found what you were looking for. Hurrying we flew to Nepal, and purchased all the costumes they had. 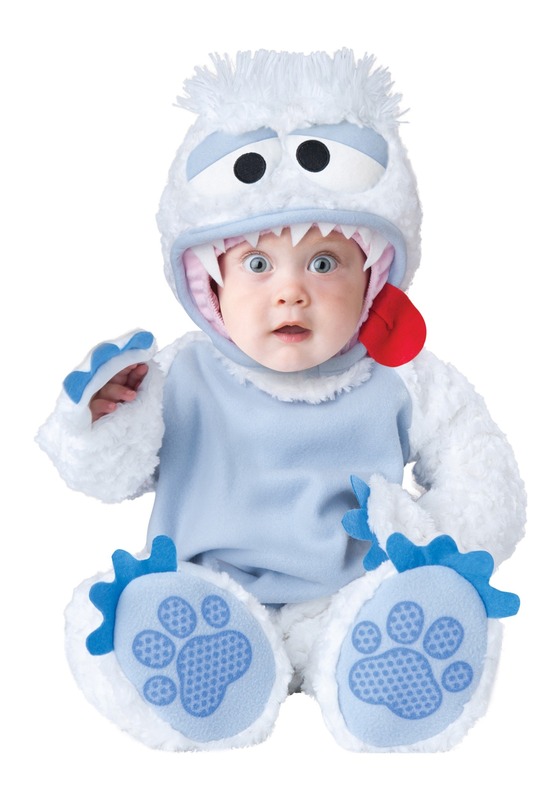 This Abominable SnowBaby Infant Costume is what we came home with. It is the most adorable thing we found on our journey, and it will keep any little SnowBaby warm. It’s blue fur will keep your little munchkin fully covered as the October wind chills you to the bones. And you’ll be happy for the footies on this suit because it means your baby can’t take their shoes off every five seconds!